This morning we received the following notice from the CCCWA (China Center for Children’s Welfare and Adoption) regarding the newest ​updates to the China Adoption ​eligibility regulations. Although we have our reservations regarding some of the changes that are being made​, we are actively reaching out to the CCCWA to seek further clarification in order to best counsel each of our adoptive families. While most of the eligibility requirements have remained the same, we anticipate that some of the changes made will impact families that are currently in process. Please know that the Waiting Children that we advocate for and our adoptive families are our top priorities, and we will continue to ​push forward as we seek the best solution for each family. We are compiling a list of questions for the CCCWA to clarify some of the points mentioned ​ in the update​. If you are a current family in process that we foresee this effecting​,​ ​our caseworkers will be reaching out to discuss your case. Please understand there are a number of families we are currently trying to communicate with and we will be in touch as soon as possible. We know that more changes outside of eligibility are likely on the horizon for China adoption. 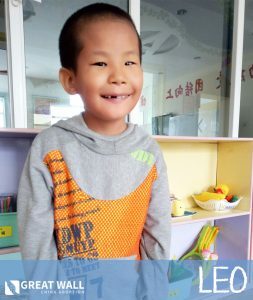 We are at a place in which we could easily be discouraged​, however, ​throughout the past 21 years ​that ​GWCA has been working with China we have always found a way to continue to help the children waiting. Our passion, our mission, and our hearts are devoted to bringing orphans their forever families and nothing will stop us from continuing that mission. In order to further promote the scientific and standardized level of inter-country adoption, and implement our working principle “everything for the children”, we have refined and improved the review points for deciding the eligibility of foreigners adopting from China, in accordance with theConvention on Protection of Children and Co-operation in Respect of Intercountry Adoption, andMeasures for Registration of Adoption of Children by Foreigners in the People’s Republic of China, as well as the practice of paper review of CCCWA. 1. The prospective adoptive parents (PAPs) should reach the age of 30, and the age difference between the PAP and the adoptee should be not more than 50 years. 2. When a couple adopts together, the age difference should be counted based on the age of the younger party. 1. The PAP(s) should be a couple of one male and one female, or a single female with no homosexual tendency. 2. In the adoption by a couple (couple adoption), the PAPs should have a stable marital status, either party should have not more than 2 divorces. If one party has no divorce history or 1 divorce, their current marriage should last not less than 2 years. If one party has 2 divorces, their current marriage should last not less than 5 years. 3. In calculating the marriage lasting time for PAPs, the time living together before their marriage can be included. When calculating the number of divorces, widow and remarriage after divorce are not included. (13) Short stature or dwarfism; PAPs who adopt children with identical conditions will be exempt from this limitation. The PAPs should have received senior high school education or above, or vocational and technical skills education of the same level. 2. Couple adoption’s family net worth should reach 80,000 USD, and single adoption’s family net worth should reach 100,000 USD. 3. Welfare allowance such as relief fund, pension, disability benefits, adoption subsidy, foster care subsidy and disabled child subsidy, etc. are not included in the family annual income. 4. Proper relaxation can be granted to foreigners living in China on the aspects of family annual income and net worth. (3) a history of alcohol abuse and have stopped drinking for less than 10 years. Adoption application will be given due consideration when the PAPs have had no more than 3 criminal records with minor violations and no severe outcomes, and the time for correction has reached 10 years; or have had no more than 5 records of traffic law violation with no severe outcomes. 1. The adoption of orphans, disable children, or abandoned infants and children whose parents cannot be ascertained or found, are not subject to the requirement that the adopter should be childless. 2. The PAPs should have enough time and energy to take care of the minors in the house including the prospective adoptee. In a couple adoption, the number of minors living in the house of the PAPs should be not more than 5; in a single adoption, the number of minors in the house of the PAPs should be not more than 2. 3. The youngest child in the house should reach 3 years old. 1. Adopters should submit post placement reports as required after the adoption; There should be a 1 year interval between the second adoption application and the previous one (from the registration date of the previous adoption to the current adoption application date). 2. In principle, the PAPs should adopt 1 child from China at a time. 3. In a couple adoption, if adoptee is a twin or multiple births or have siblings, the adoption will be exempt from the limitation of item 2. 1. The PAPs should receive pre-adoption training to have a correct cognition and understanding of the possible risks of inter-country adoption, be fully prepared for the adoption and care of the adoptee. The PAPs should promise in the inter-country adoption application letter that they will not abandon or maltreat the child to be adopted, and will submit post placement reports as required. 2. As for PAPs residing in countries other than their birth country, if they intend to apply to adopt from China, they should reside in countries which have cooperative relationship with China in inter-country adoption, or in contracting states of the Hague Convention. 3. This document does not apply to stepchild adoptions. As for the adoption of a child belonging to a collateral relative by blood of the same generation and up to the third degree of kinship, relaxation will be granted properly. 4. Time or age is calculated based on the adoption application dossier’s log-in-date at CCCWA. 5. This document shall enter into force as of the date of issuance. In the event of any inconsistency between this document and previous CCCWA regulations or notices, the review points of this document shall apply.